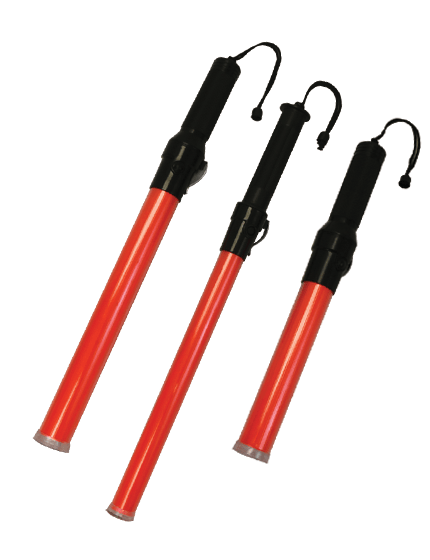 Grabber Tubes come in brilliant orange and have built in handles making them easier to lift, drag, and place. 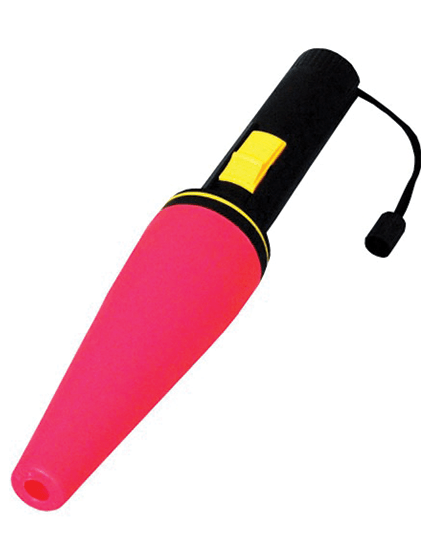 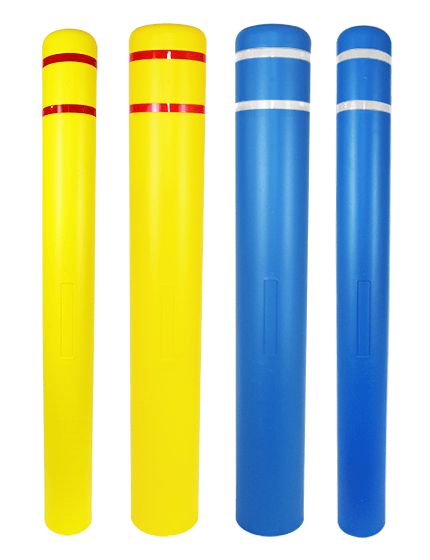 Our Grabber Tubes are 42" tall with a ribbed neck and hand support knob ensuring a better grip. 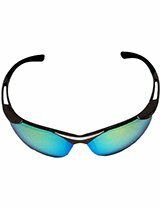 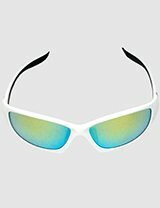 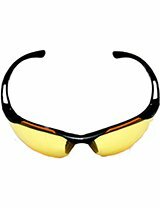 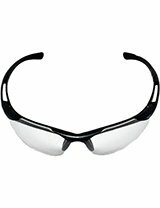 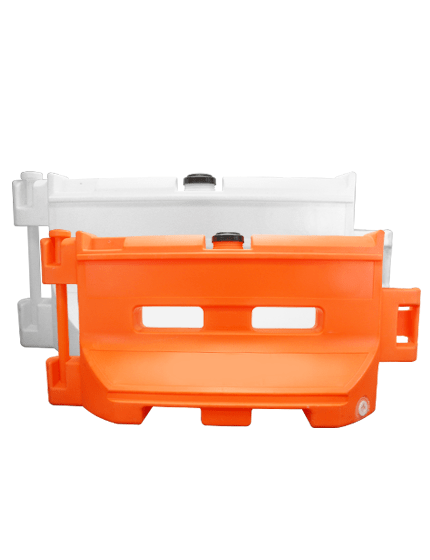 Molded in recesses prevent optional reflective collars from ripping. 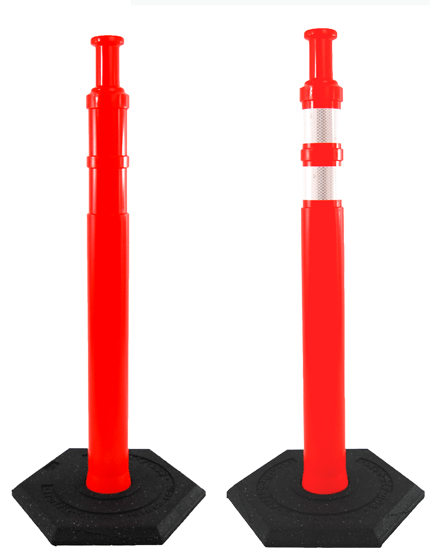 Grabber Tubes come with 8 lbs, 12 lbs, or 18 lbs recycled rubber base for stability which is removable for easy storage. 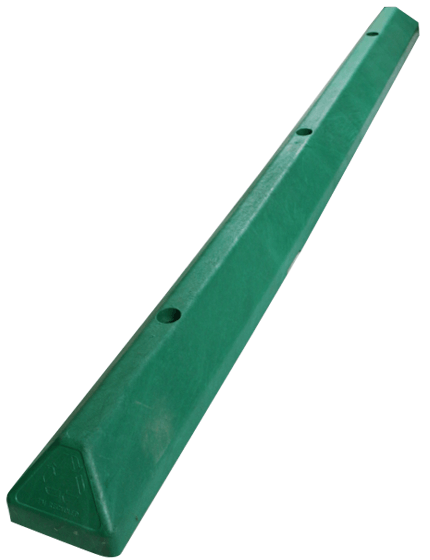 All Grabber Tube components meet Federal MUTCD standards and are 100% recyclable. 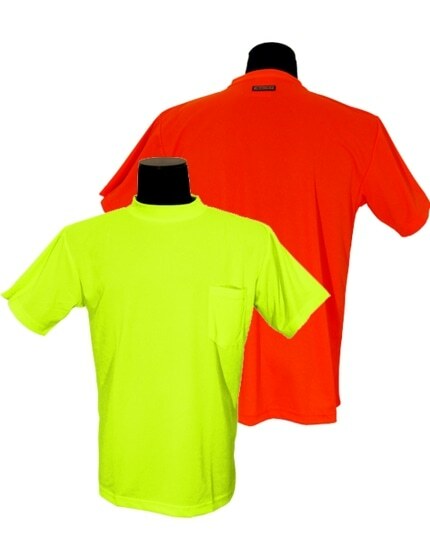 UV inhibitors minimize fading. 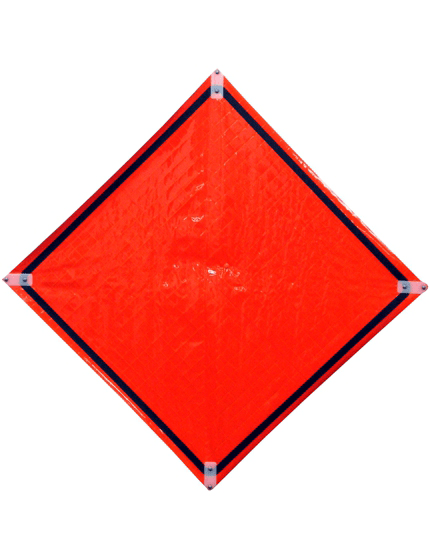 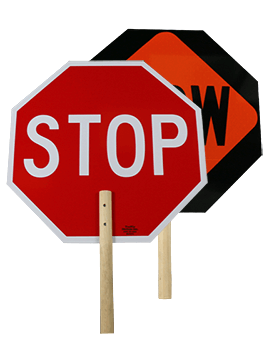 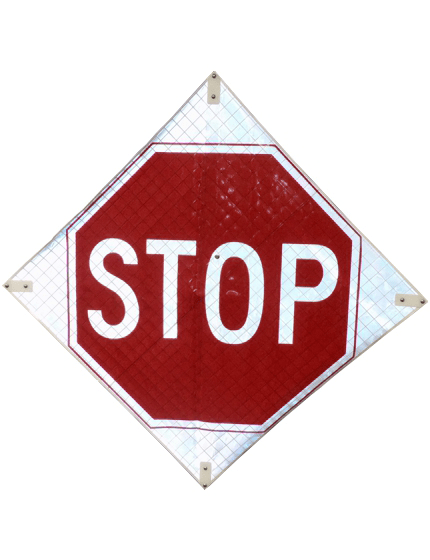 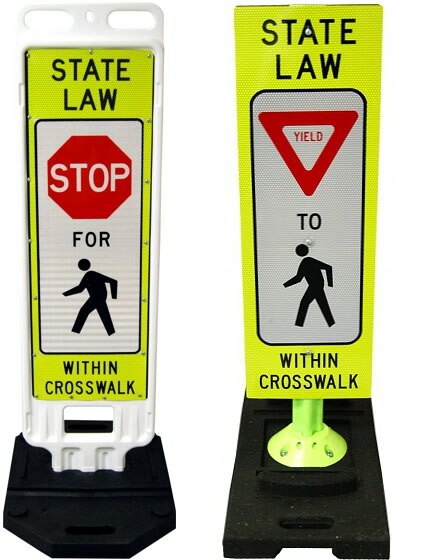 Traffic Safety Store can add a custom stencil with your message or company name on the Grabber Tubes to prevent theft or add branding. 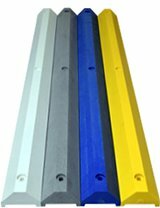 NO SET-UP CHARGE AND NO MINIMUM ORDER FOR CUSTOM STENCILING ON GRABBER TUBES! 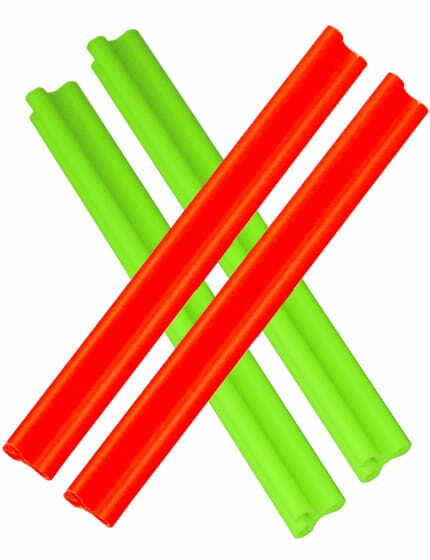 No need to worry about fading, because the body of the Grabber Tubes sold at the Traffic Safety Store come with UV inhibitors. 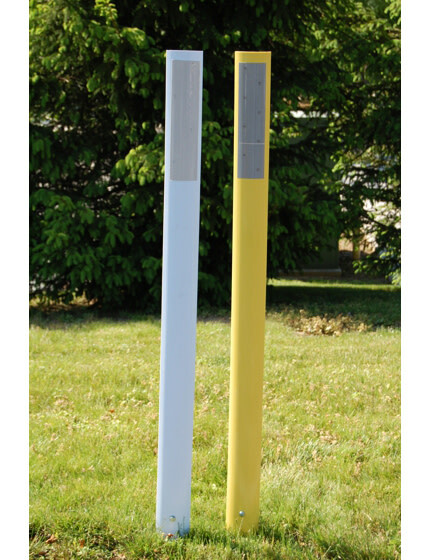 Not just that, they are also made of high quality, low-density PE material that makes these delineator posts flexible and durable. 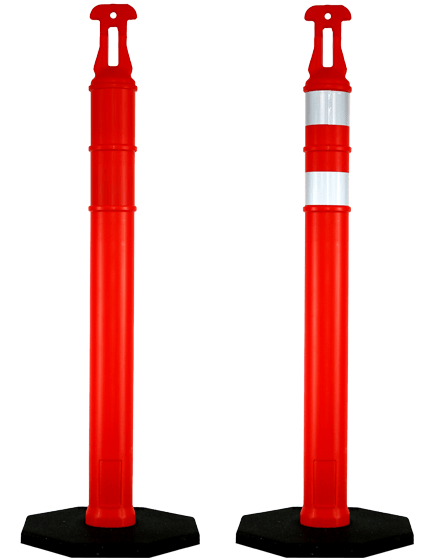 The large flange located at the base of the grabber tube adds to its stability, holding it snugly in place. 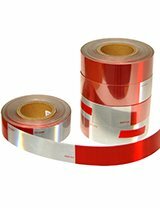 It's also scratch-resistant because of the hollow areas on the body that protects the reflective bands from both rips and scratches. 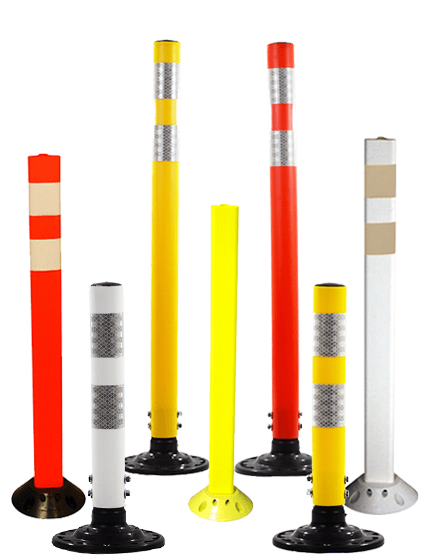 These delineator posts are not only low maintenance but easy to set up as well. 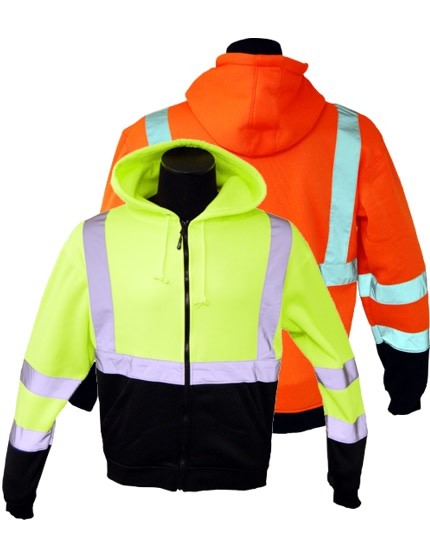 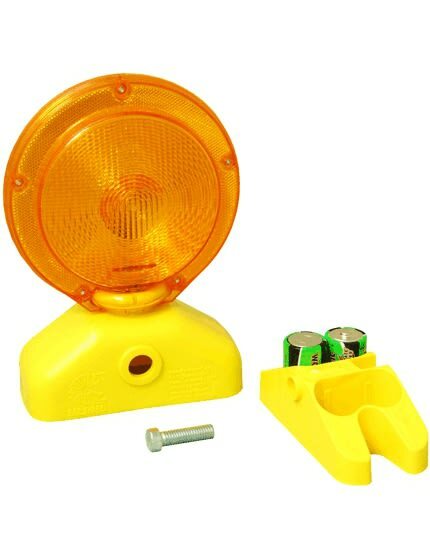 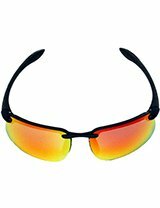 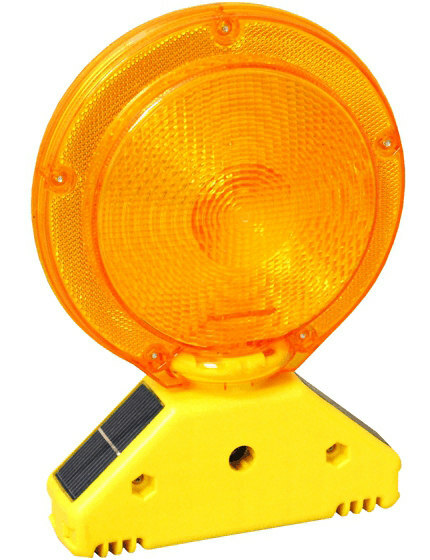 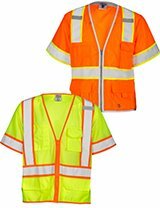 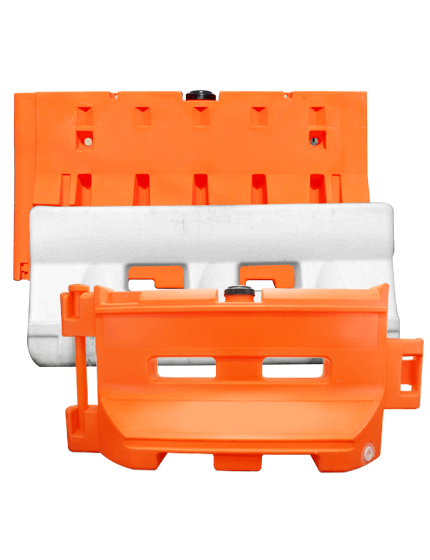 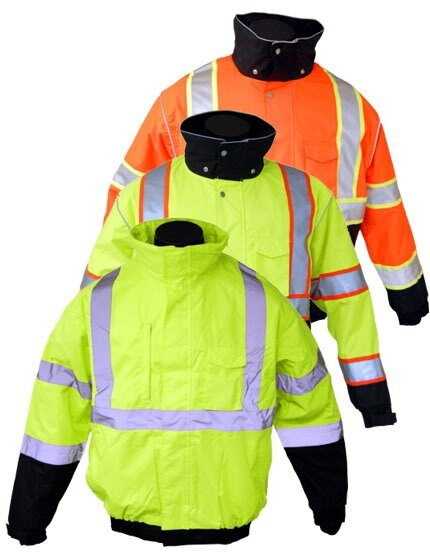 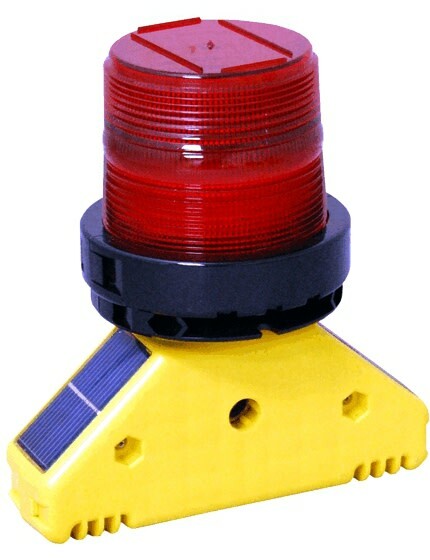 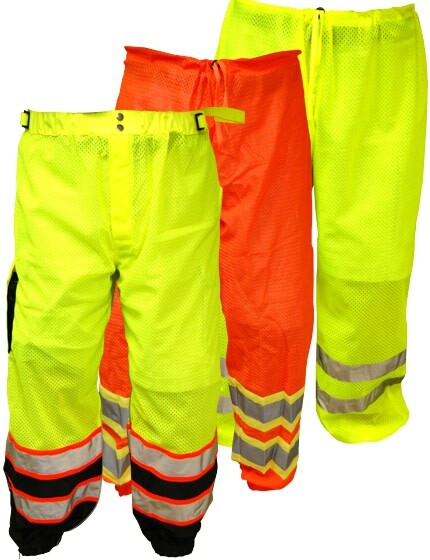 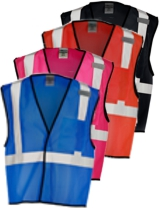 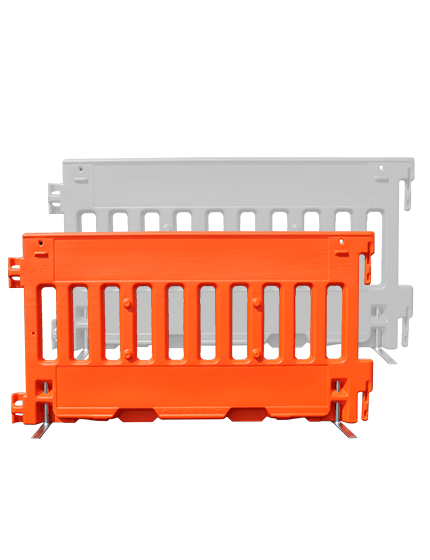 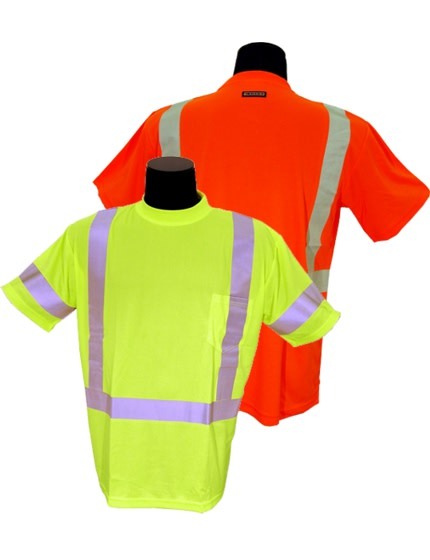 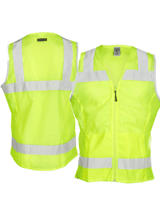 They are specifically designed to provide optimum visibility to pedestrians and motorists. 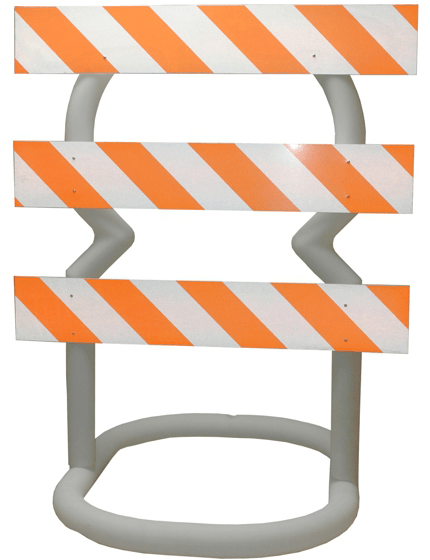 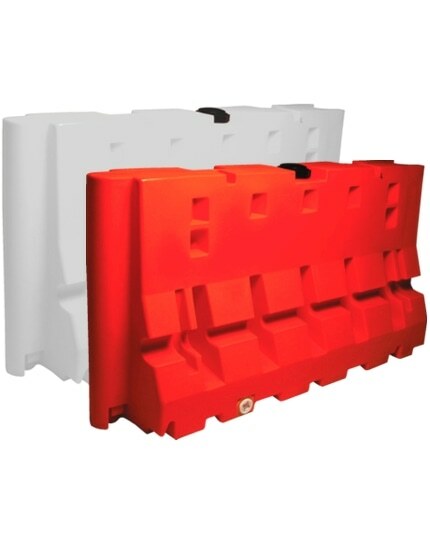 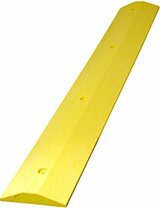 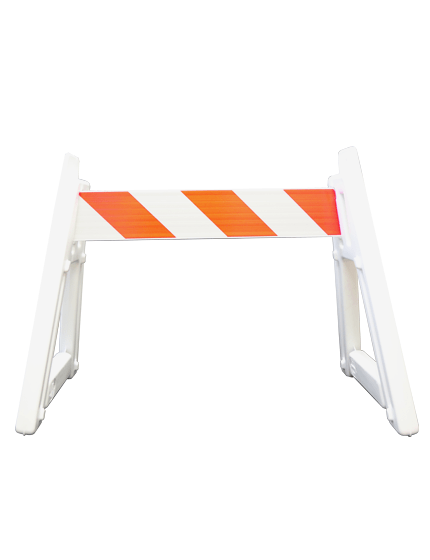 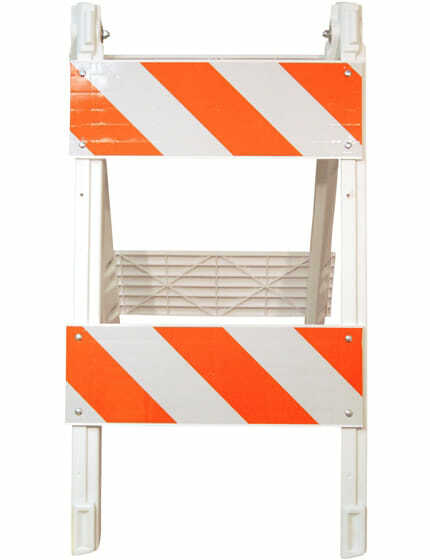 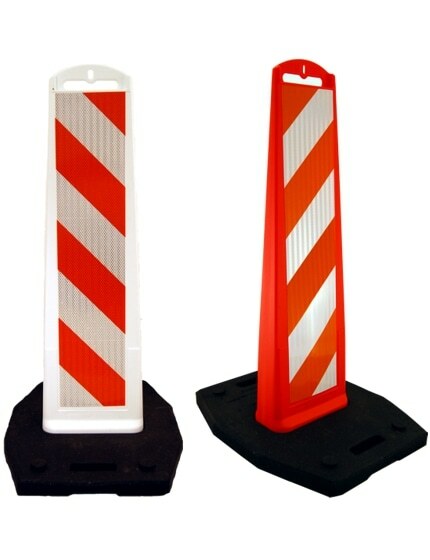 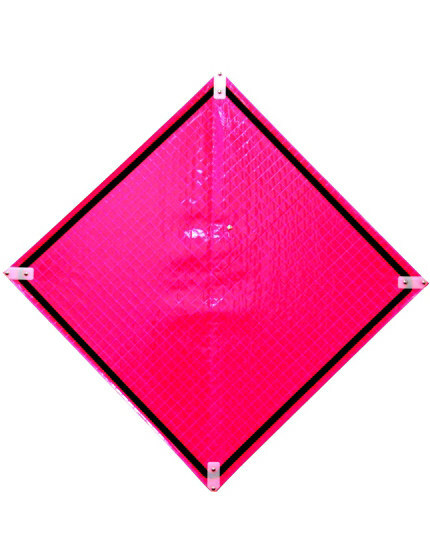 That's why we're proud to say that these delineator posts available in our store are perfect for any emergency situations that need a temporary barricade. 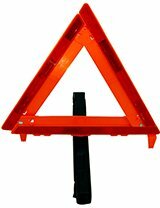 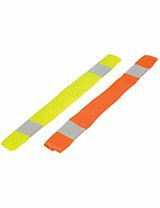 Our Grabber Tubes are available in high visibility orange, and the reflective striping gives the guarantee that you can easily be seen even in areas with low lighting condition or during inclement weather. 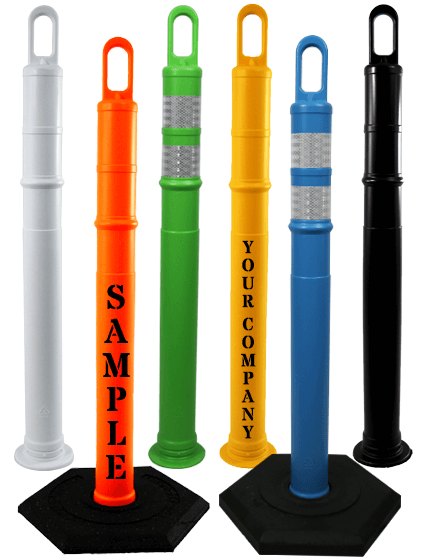 Construction managers and workers enjoy the peace of mind that comes with clearly marked dangers and how easy it is to setup and use our Grabber Tubes. 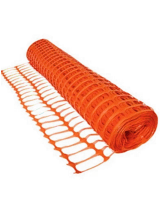 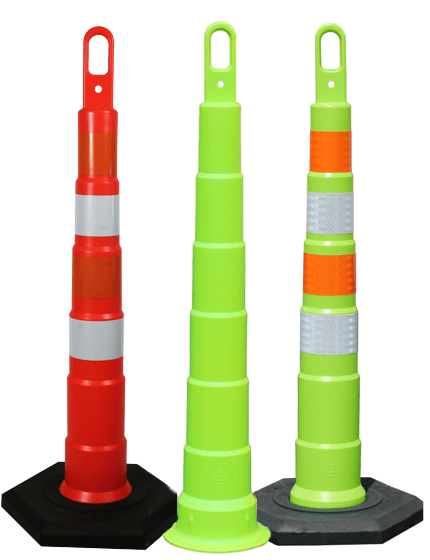 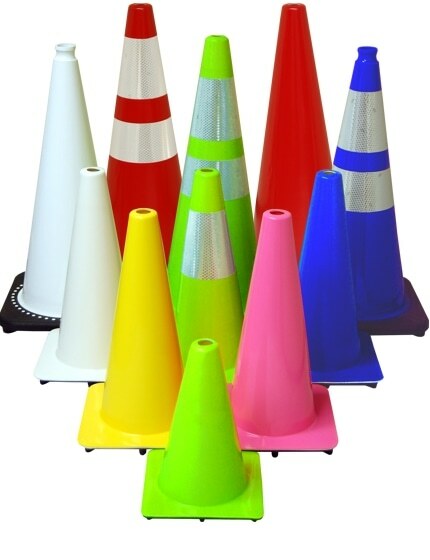 Since they are so versatile, these Grabber Tubes can be a warning device for different kinds of situations, such as parades, road construction, traffic, parking lots, resurfacing, channelizing, striping, and much more. 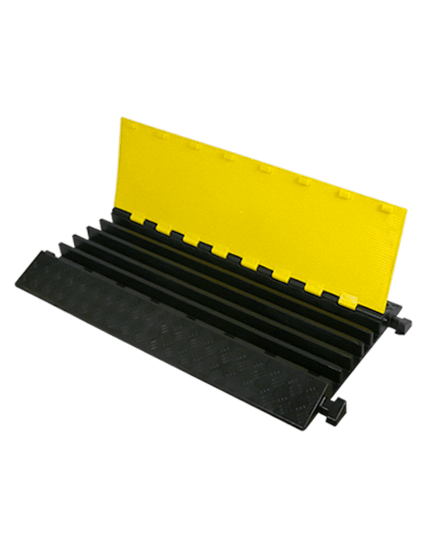 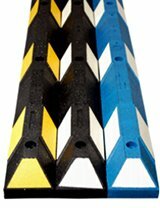 Our Grabber Tubes are environmentally friendly as the rubber plates are made from recycled rubber bases, the composite constructed of the grabber tube offers strength and durability. 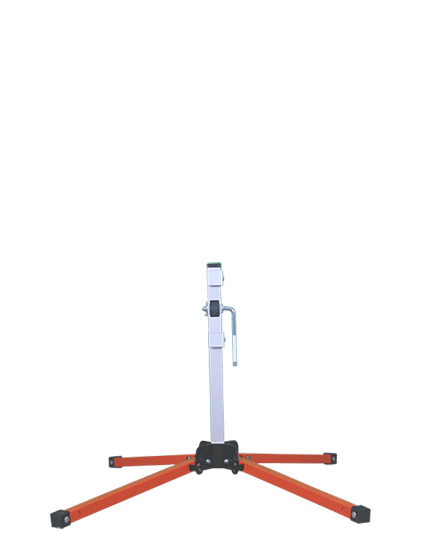 These rubber bases are equipped with ergonomic handles and stacking rings for easy storage, and at only 18 pounds they provide maximum stability, but they can also be moved and set by a single worker. 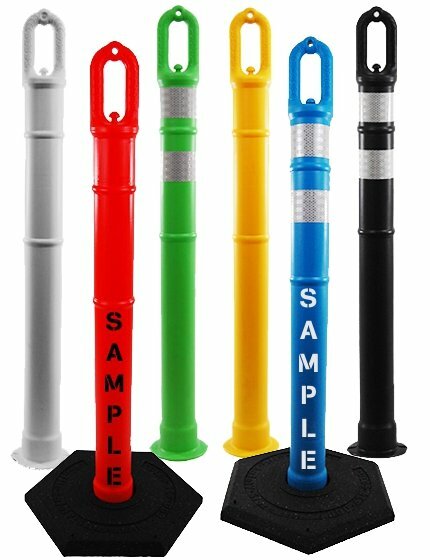 The grabber handle features an ergonomic design that allows you to quickly move, drag, set, or lift the grabber tube off the vehicle and into the location. 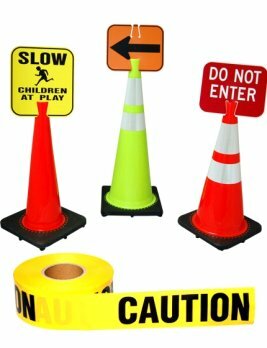 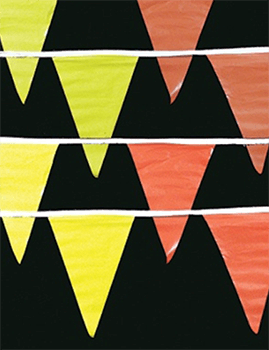 Even a single person can set it up by simply tying or wrapping caution tape from one tube to another-- enclosing the work site and offering greater visibility. 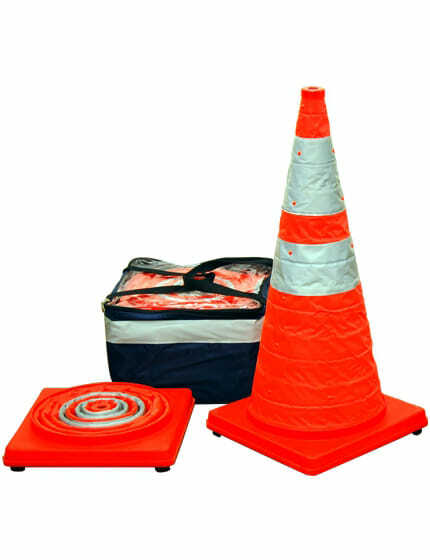 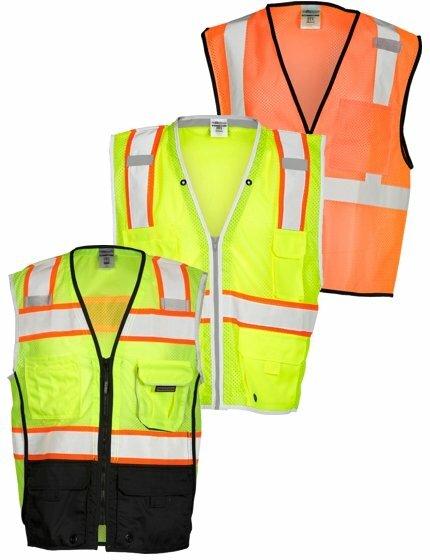 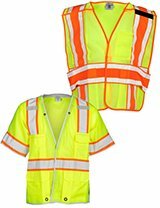 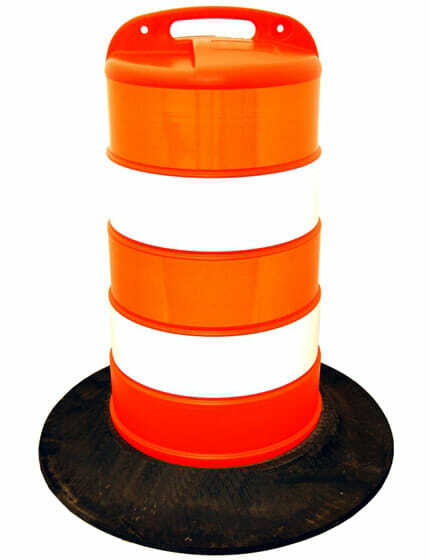 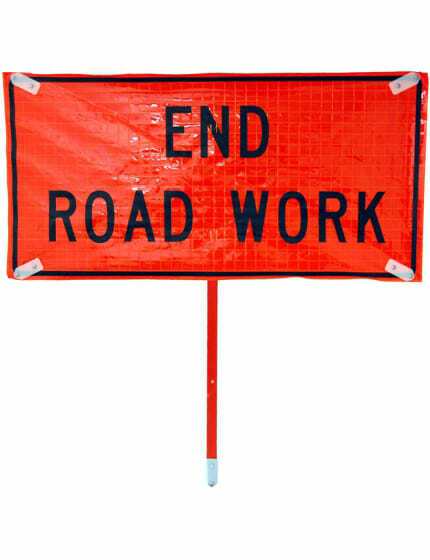 Perfect for lane closures, small work areas, crowd control, channelization and delineation of traffic, water and flood control, barricade construction work zones, vehicular or traffic control, stripping, resurfacing, tree trimming, and much more. 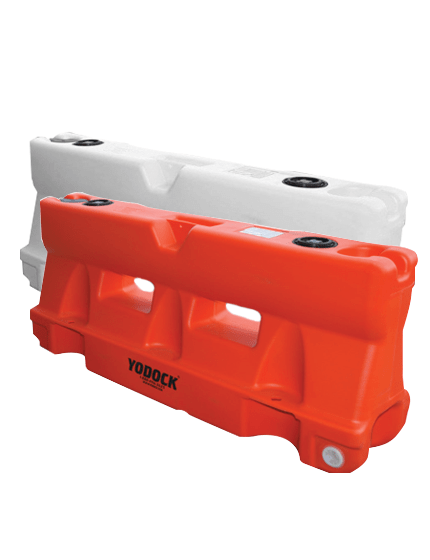 To ensure that you and your work crews are as safe as possible, we offer a range of additional items to help you work more efficiently. 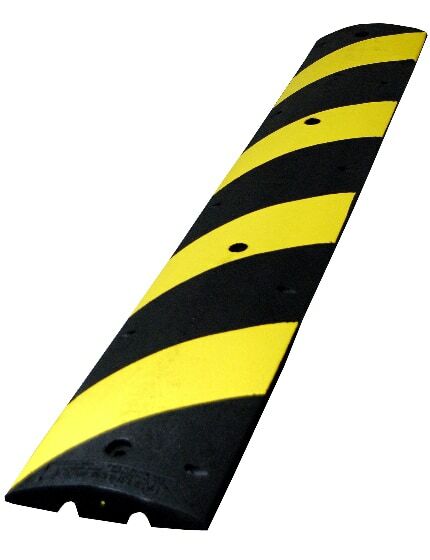 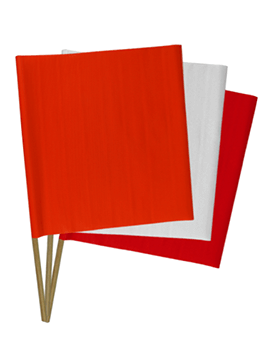 What Is a “Delineator Post-Bands”? 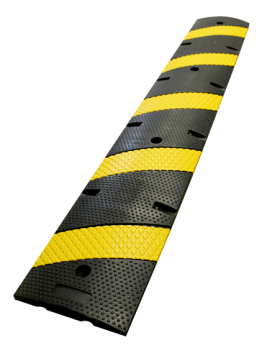 These are reflective tapes wrapped around delineator posts so that they'll be highly visible even in dark areas, especially when light strikes the tape as it will reflect back. 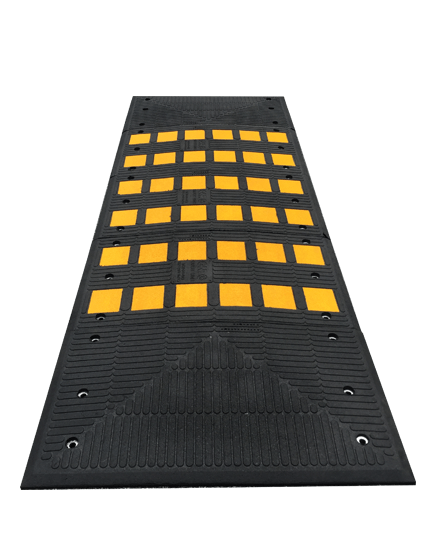 A Grabber Delineator Resembles a T Top Delineator, What Makes It Different? 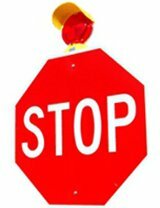 Grabber and T Top are different brands. 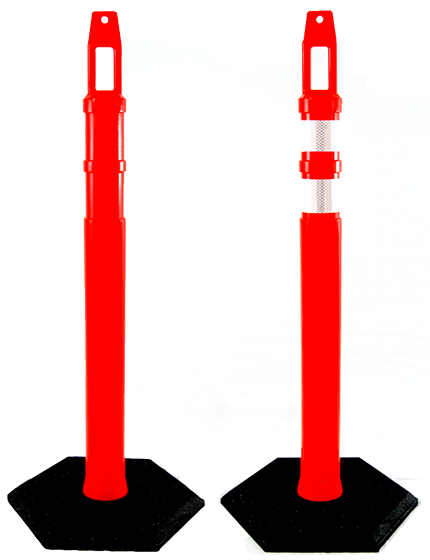 Both of them manufactures delineator posts where the top has a handle for easy-grabbing. 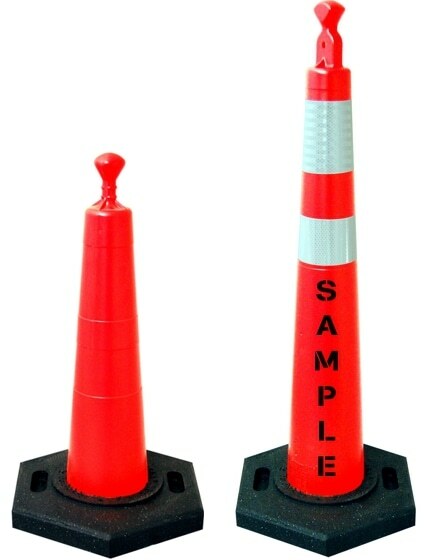 The only difference is the brand behind them. 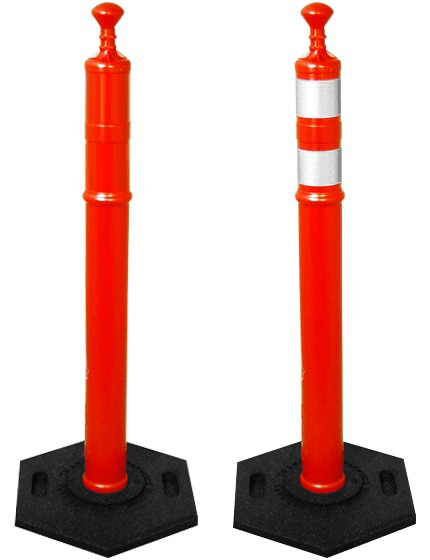 Can Your Delineator Posts Stand on Their Own? 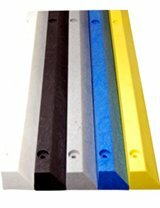 Although they can hold on themselves, if you want better stability, we highly recommend getting rubber bases from our store. 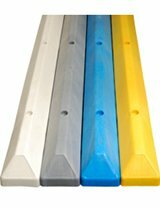 What Bases Work Great for Areas with Medium to High Speeds? 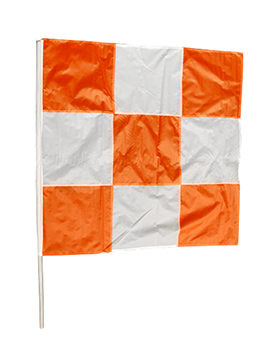 If you're in a field with 20-30mph winds, the 18.5 lb. 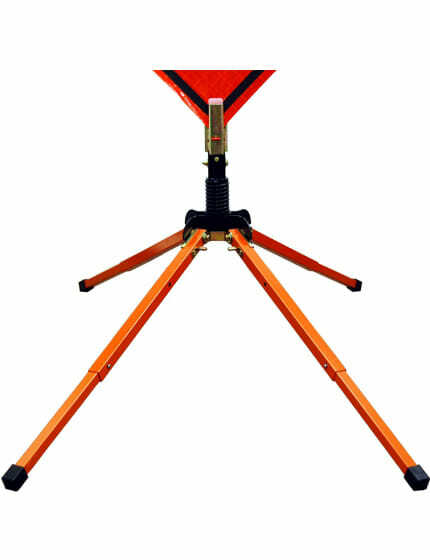 base will do the job, On the other hand, if it's 30-40 mph, then you should consider adding an 8 lb. 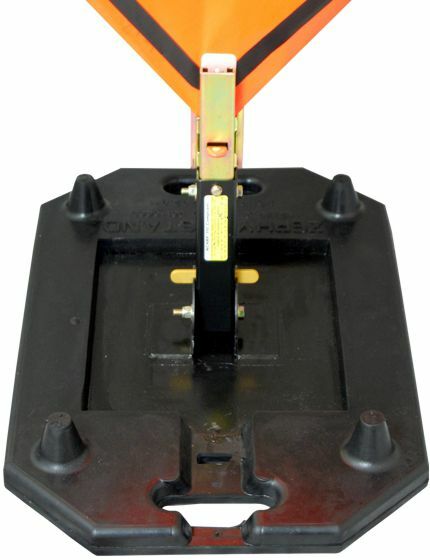 base on top of the 18.5 lb. 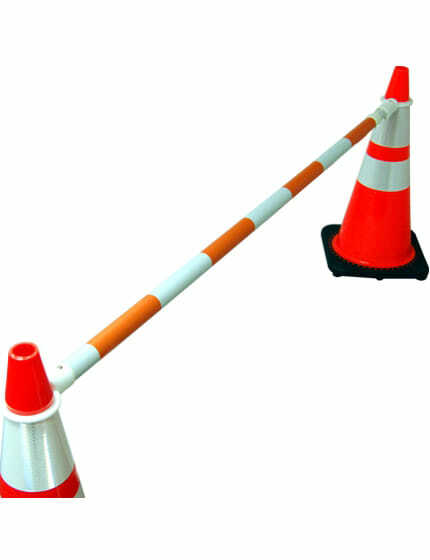 to prevent it from falling. 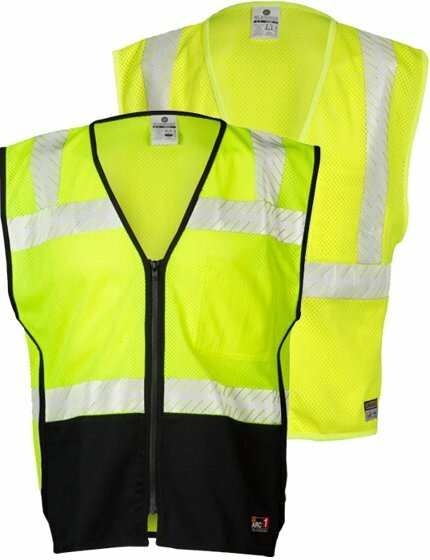 How Long Will It Take Before I Receive My Orders? 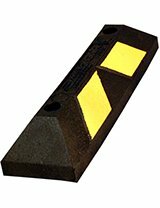 Lead time depends on the type of delineator post you're going to purchase. 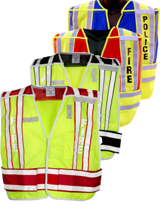 Please give us a call and inquire about lead times so that we can guide you accordingly. 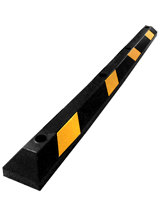 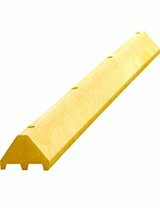 Shipping cost would depend on your location and the quantity of delineator posts you need. 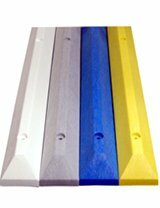 Send us an email, or call us for a custom quote. 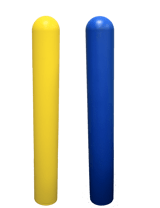 With so many industrial and commercial applications for Grabber Tubes, it can be difficult to understand the type of Grabber Tubes you need for your project. 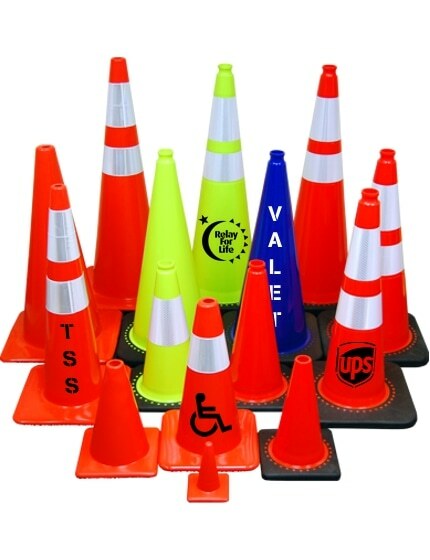 The Traffic Safety Store has years of experience helping customers just like you choose the perfect Grabber Tubes for any project or application.